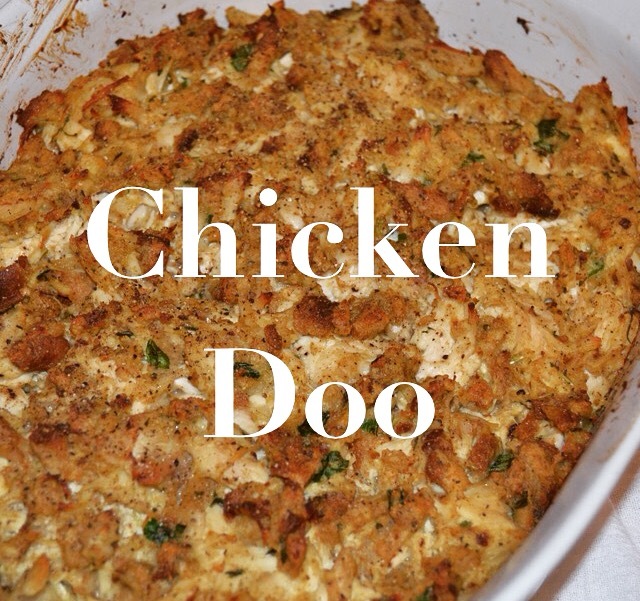 Chicken Doo (or chicken casserole) may be fixed a day in advance and refrigerated until time to bake. Enjoy! Start by boiling 3 large chicken breasts. I used boneless here just for simplicity’s sake. Add salt and garlic to the water. Remove breasts from water when they have cooked completely (about 30 minutes). Allow to cool. 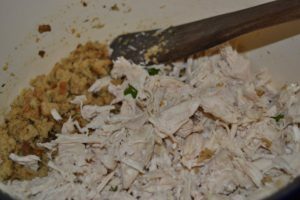 Retain chicken broth for stuffing preparation. 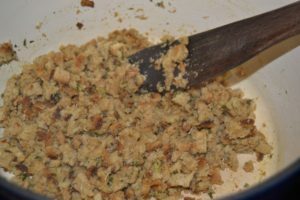 Prepare stuffing according to package instructions… except if package calls for water, substitute chicken broth for water. 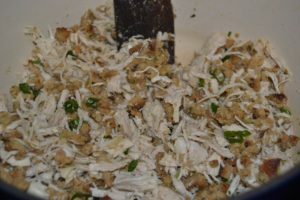 Once stuffing is ready, add chicken and onions. 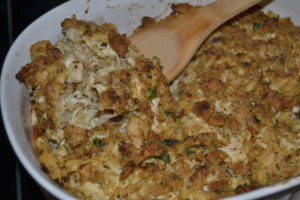 Add crumbled toast and cream of chicken. Combine well. Spread into a greased casserole dish. Bake in the middle of the oven until golden brown. Serve warm with mashed potatoes, a green veggie like peas or green beans, and rolls. Who knew doo was so such as “do”? 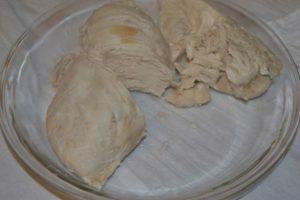 Boil chicken breasts, salt, and garlic until chicken is done– approximately 30 minutes. Remove from water, retain broth for dressing preparation, and allow chicken to cool. Once cool, shred chicken. 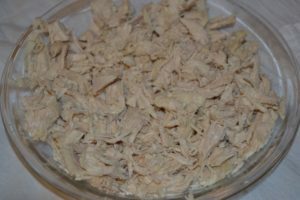 Add onions to chicken. Preheat oven to 350 degrees Fahrenheit. Prepare dressing according to package instructions, but instead of using water, use equal parts retained chicken broth. 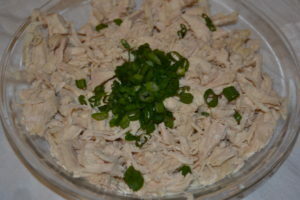 When dressing is ready, add chicken/onions mixture to dressing. 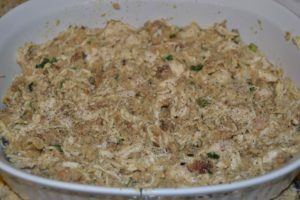 Add cream of chicken and crumbled toast and combine thoroughly. 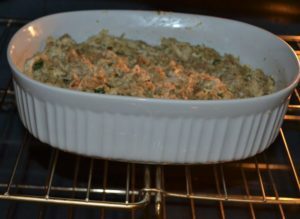 Pour into a greased casserole dish and bake in the middle of the oven for 25-30 minutes or until golden brown. Serve warm! God bless. I want to use this for when family visits in March. How many will this serve? We can serve 4-5 hungry adults as long as sides are also available. Good luck! !